I was a twenty-two year old architectural intern with a freshly minted B.Arch degree. This was my first job in an architect’s office. I’d been in the office six months and was working on a medical renovation project. I was fortunate to have a patient project manager who gave me extra responsibility and, more importantly, the time to learn from my mistakes. “You know Michael, you really need a checklist for this”, he said. I looked at him like he had three heads. “A checklist? I’m an architect, not a pilot. A checklist would only stifle my creativity”, I said as I puffed up my chest. Did I mention my project manager was patient? He gave me a sympathetic look. He got me. I knew he was right. Checklists are simple but effective tools for ensuring things get done right. The beauty of a checklist is that it externalizes a process into the essential steps required to reach a desired outcome. Checklists standardize a process and make it repeatable and predictable. 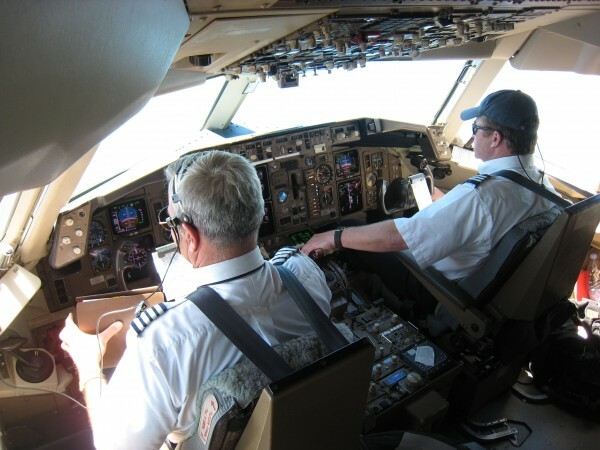 Pilots use checklists for their pre-flight check because they’re effective. When you have lots of steps to perform, a checklist ensures they all get done. You don’t need to think through each step. You simply follow along and execute the steps as they’re laid out in the list. Checklists often get a bad rap in creative fields like architecture because they prescribe what to do and how to do it. There’s no room for creativity in a checklist. That said, a lot of the work we do is fairly routine and often tedious. Think about issuing a set of drawings. Or checking floor plans. Or coordinating MEP and structure. These tasks aren’t rocket science but they do require attention to detail. It’s easy to miss things because there’s a lot of information to process. Creating a checklist is fairly simple to do. It doesn’t take a lot of time. Simply write out each step as if you were instructing someone on how to perform the task. Once you’ve outlined the steps, run through them a few times to make sure you’ve captured all the details. I like to use mind-mapping software to create my checklists. You can also use apps like Checklist, Sweet Process, or Manifestly. These online tools let you develop and share checklists. 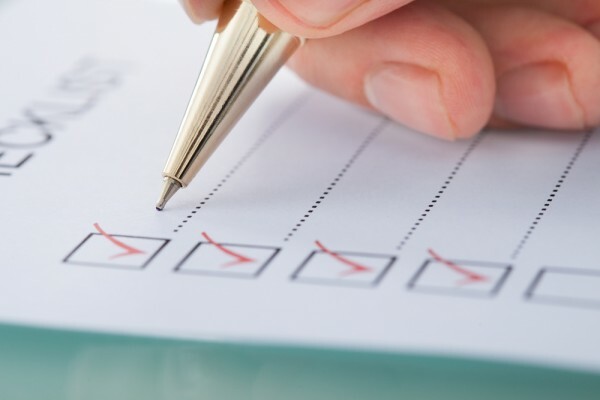 Once you create a checklist, you have a valuable tool for ensuring things get done right. You’ve offloaded a lot of the effort required to keep track of all those steps. Now you can put that brain power to better use rather than trying to remember all the little tasks you need to do. Atul Gawande is a surgeon at Brigham and Women’s Hospital in Boston and author of The Checklist Manifesto. Through his research, he found checklists to be extremely effective tools for managing complex tasks. Gawande illustrates his points with case studies of how checklists have been successfully implemented in fields such as medicine and construction, where one missed step can spell disaster. 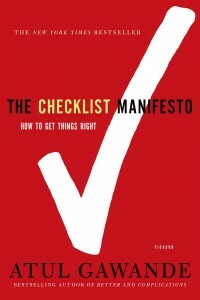 It’s a good read and reinforces the value of the humble checklist. I’ve developed checklists for certain processes for my work, even trivial tasks like publishing a blog post or issuing a set of drawings. Every process benefits from a checklist. First, it forces you to break the process down into its individual components. Second, it takes a lot of the variability out of the process. Third, once the process has been externailized, it can be performed by others. If you have a certain way of doing things, take the effort to create a checklist. This ensures others understand the way you want things done. Issuing drawings sets to the owner and contractor. Sending background drawings and models to consultants. Setting up rendering views in your 3D software. Archiving a project upon completion. Recording and issuing meeting minutes. Managing a project coordination meeting. Want some more examples? Eric Reinholdt includes an excellent chapter on standard operating procedures (SOPs) in his book, Architect + Entrepreneur. I highly recommend it. Also, check out Working Drawing Manual by Fred Stitt and Cross-Check by Pat Guthrie. These books provide tons of checklists for reviewing working drawings and coordinating disciplines. What tasks have you developed checklists for? Or which of your tasks could benefit from a checklist? Leave a comment below. I’m compiling a list of checklists and would love your input. It was a pleasure meeting you at RTC. Great job, again, on your class Node VS. Code. As for mind-mapping I prefer to use http://cmap.ihmc.us/ for storing my mind mappings in the cloud and for ease of use. I’ve been utilizing this throughout my education at Montana State University, and been using it professionally as a Mechanical Designer. It’s a great way to visually explain a process to our older employees who aren’t fluent with new technology. It makes it easier to understand and visualize the workflow making the process for adoption of software easier to grasp. As for task management and checklists, we’ve found for projects that https://www.teamwork.com/ has a great solution for creating gantt charts and team based workflows/checklists/project timelines. You should check it out because it has been immensely rewarding for our design department’s deliverable. We’ve found that the two workflows work hand in hand for laying out a project workflow. One for conceptualizing the process, and the other for executing the process from a rough draft to a final plan. Thanks for sharing this information, and keep up the awesome work! Hey Brian! It was great meeting you as well. Thanks for the links. CMAP looks really interesting. I’ve been using XMind but I like some of the features in CMAP. Likewise for Teamwork. I’ve been testing out different project / task management apps over the past year but I haven’t found anything that really clicks for me. I’ll give Teamwork a try. I have found one of the biggest challenges to using checklists is adoption – a good system that has too much ‘friction’ won’t get used very much. I like Workflowy as a list / task manager because is very lightweight and fairly intuitive, making it more likely to get used. Very interesting, and this article certainly has me thinking! Great point Kate. The checklist needs to make things easier – not impose an additional burden. No or low friction is best! It’s the same in engineering too, believe it or not. We use Jira, which is more of a time tracking platform but it’s great for keeping track of your daily tasks. I highly recommend it.